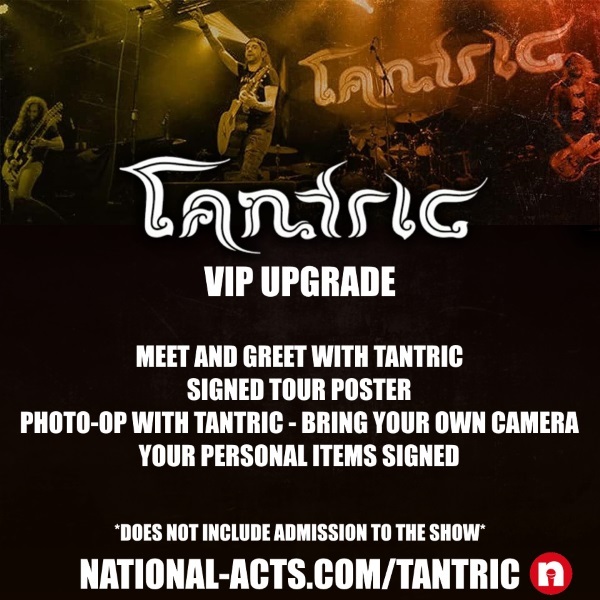 Tickets for Tantric VIP - TERRE HAUTE, IN in Terre Haute from National Acts Inc. 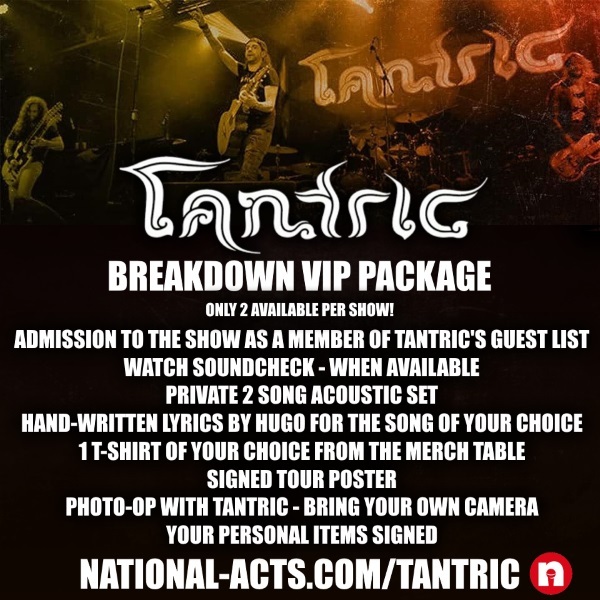 The Breakdown VIP Package includes admission for 1 as a member of Tantric's guest list. A guest list spot is the equivelant of a standing room only, general admission concert ticket. No special or reserved seating is offered. The Down and Out VIP Package and the VIP Upgrade DO NOT include admission to the show. You will need to purchase a separate concert ticket through the venue in order to see the show and participate in the meet and greet. No exceptions! ***Neither Tantric nor National Acts have any affiliation with the venue the band is performing at. The VIP Meet and Greet packages are done specifically through National Acts on behalf of the band. Therefore, any questions regarding your VIP Meet and Greet package should be directed to National Acts HERE. Any questions regarding set times, general admission tickets, other bands on the bill, age restrictions, directions to the venue, etc. need to be directed to the venue.The venue will NOT have details on the VIP Packages. ***From time to time the items in the Meet and Greet Package sell out. 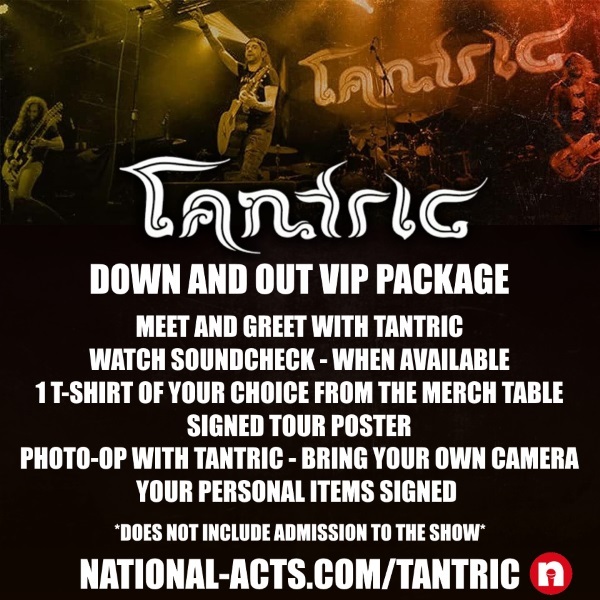 Tantric reserves the right to change the contents of the Meet and Greet Packages at any time based on availability. Not receiving certain items in the listed package does not entitle you to a refund or a discount. ALL SALES ARE FINAL. MEET AND GREET TIMES ARE SUBJECT TO CHANGE. NO REFUNDS.